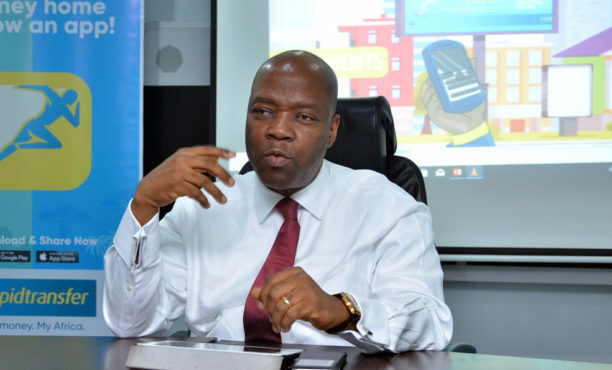 Ecobank Nigeria, one of the leading banks in the country has disclosed plans to bring banking operations closer to Nigerian neighborhoods by expanding its agent banking locations to 50,000 before the end of 2019. The Managing director of the bank, Mr. Patrick Akinwuntan, made this known during a media chat with some journalists in Lagos, explained that the move is in line with the vision of the Pan-African Bank to ensure the financial inclusion of all Nigerians. According to Mr Akinwuntan, the bank has 400 branches in Nigeria, and the aim is to let every household have access to Ecobank services “We have presence in every state in Nigeria and we also have a customer base of 9 million in Nigeria, with 400 branches and over 4000 ATMs. More interestingly, more than 4,000 agency locations known as Ecobank Xpress point which is our approach to bringing banking to every neighborhood. “Our goal is to have 50,000 of such locations this year such that in every neighbourhood in Nigeria, you can access Ecobank Xpress point to do cash deposit, withdrawal and actually make it more convenient for customers to open an account, get an instant card and participate in financial economy. Speaking on Ecobank's contribution to Nigerian and African economy, Akinwuntan noted that the bank has recorded many firsts in the banking industry revolution and introduction of EcobankPay is one of them. We have introduced EcobankPay which has brought together all three QR codes available in the country on one platform, he said. Akinwuntan also added that Ecobank will be bringing message of the combination of its POS, EcobankPay, Express Point, ATMs, Ecobank Omni, and Ecobank Omni light to markets and households to enable people interact with the products.